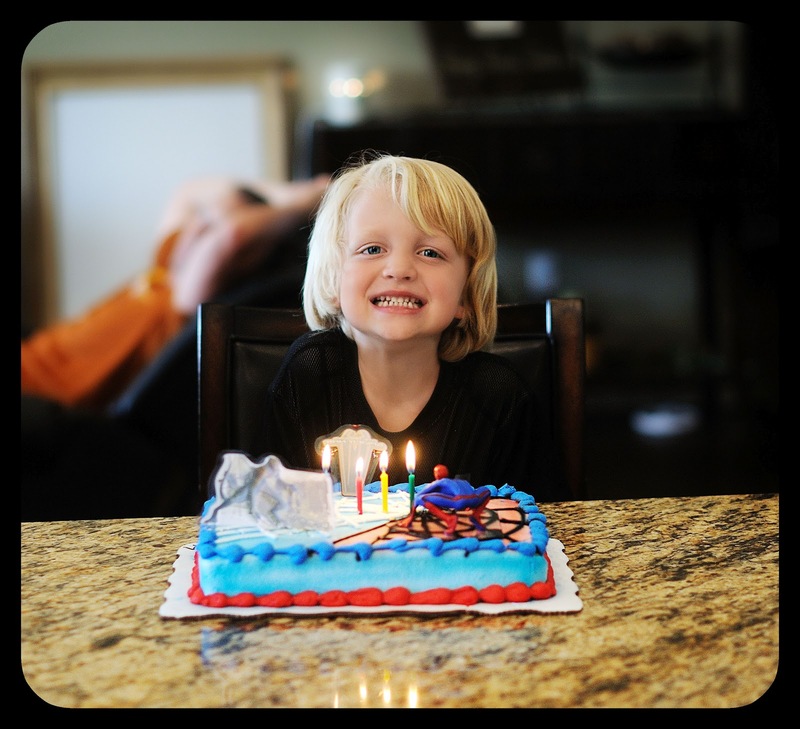 Daniel and AnnaMarie Miller Family: Our baby is 4! It's hard to believe that 4 years have passed since the birth of our last little baby! 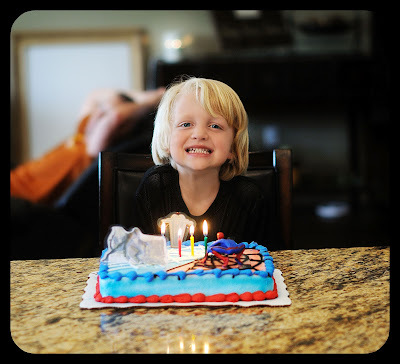 On June 20th, 2012, we celebrated our sweet Jayden's 4th birthday. 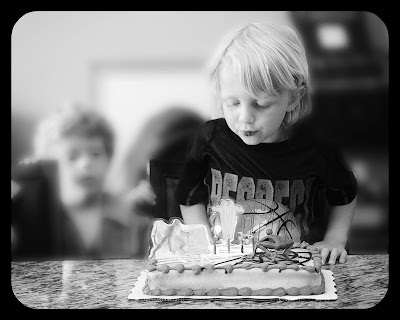 I can't remember any of our children ever being as excited about a birthday at this age as Jayden was. He would ask each day, "How many more darks?" and was counting down. He couldn't wait to turn 4! In order to properly celebrate his awesomeness, I want to first talk a little about Jayden. Then, I'll give a rundown of how we spent the special day. Jayden is the baby of our family in every way. Each member of our family does their part to take care of him and he eats it up. While Jaxon is fiercely independent, Jayden loves the attention of being the baby and is more likely to ask for help, even when he's perfectly capable of doing it himself. He loves to snuggle. He is quiet, shy and sweet as pie. He falls asleep in random places at random times. Almost every week, he sleeps through primary. At the beginning of class, he will climb on the lap of his teacher and fall asleep. They will lay him down in the corner and he sleeps through a good portion of class. It's so cute. Jayden is a bit of a computer addict. He loves anything with a screen. He asked for a Nintendo DS for his birthday but that wasn't going to happen. We have to limit him as it is or he would play the Wii or computer all day long. He enjoys talking trash to his dad and brothers when they play games. It's quite humorous when the older boys in the family ask for his help getting past a difficult part of a game. It's not uncommon to hear him come out of his usual shell when he's playing Wii by saying things like, "Dat what you get suckaaaa!" We can't help but laugh since he is usually so quiet and sweet. Jayden has his dad wrapped around his cute little finger. Dan has commented often about how he wishes Jayden would stay little, just like he is now. Jayden also tells me often how he loves me sooo much- but he loves Mason more :) Mason and Jayden share a special bond and are two peas in a pod. Unless Mason is at school, you will rarely find one of them without the other. We are so blessed to have our beautiful baby boy in this family. 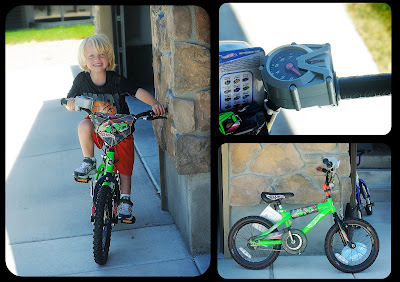 It's 16" of bright green (his favorite color) Hot Wheels goodness, fully equipped with a fake speedometer and a handle bar you can twist and pretend to rev, while making "vroom vroom" noises. Suh-weet! Now if we can only convince our timid little guy to ditch the training wheels so he can keep up with his dare devil brother! 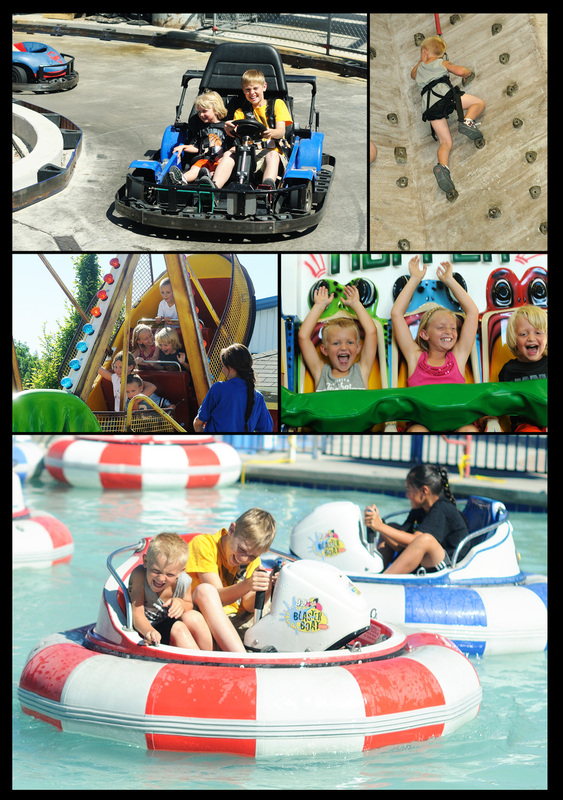 At Trafalga, the kids climbed the rock wall, rode several rides, drove the bumper cars and played laser tag. They had such a great time. After we left, they started asking when we can go back- and since we have season passes, we were able to honestly say, "Soon." Around 6pm, we headed home with a tired brood of kiddos, where we celebrated some more with cake and ice cream. Jayden requested a Spider-man cake and unlike the DS, this was a request we were happy to grant. Our cute neighbor, Carson Wycherly, came knocking at the door just as we were about to start cake and ice cream, so we invited him in to join the party. He is a good friend with both boys and they were happy to have him over to celebrate. After we all had cake and ice cream, we rushed Jayden off to his very first Tball practice! It was such a busy day for our little guy! He enjoyed every second of it- which is fitting since we have enjoyed every second of him. Happy birthday little guy! We adore you!